Gorgeous masterpiece hanger made from wood with a metal bracket for hanging. 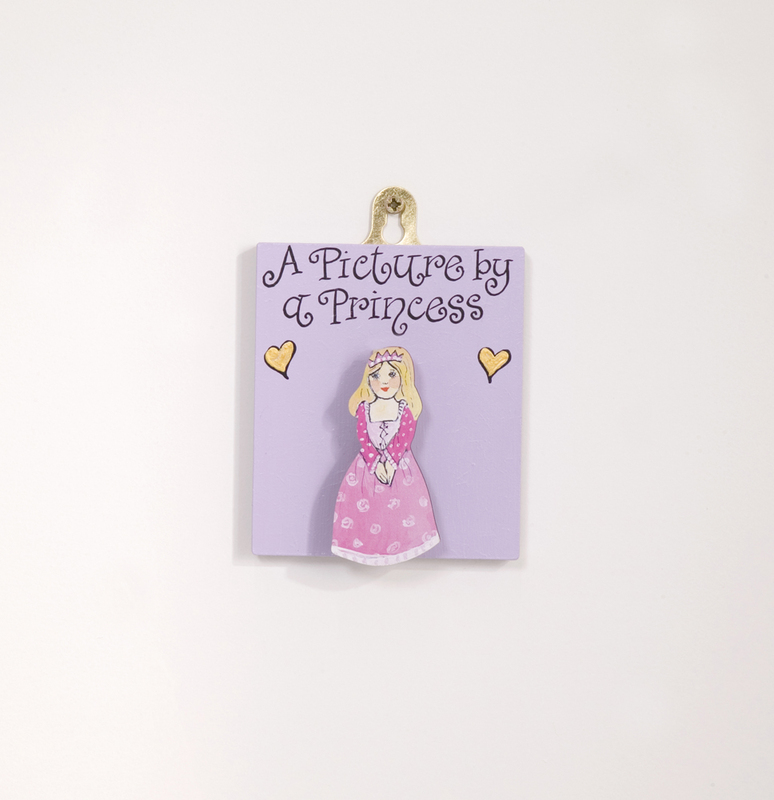 This pretty item is hand painted purple with gold hearts on the background and has a wooden clothes peg attached decorated with a illustrated princess. 'A Picture by a Princess' is written in black letters across the top, made in the UK. The item is ideal for hanging up your little one's latest drawing, painting or other art items brought home from school.